The stunning 40 mile view over the top of the Devil's Kneading Trough across the High Weald to Fairlight Cove, Sussex. The Devil's Kneading Trough is within the Wye National Nature Reserve, and Kent Downs AONB. 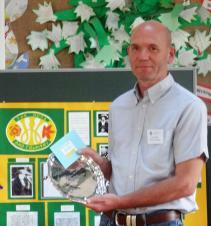 Wye with Hinxhill Parish Council works at the centre of the community that it exists to serve. Councillors have no party-political affiliations, and being free from party political control they are independent, and able therefore to think, agree and work together for the benefit of the parish and its residents. Some of the Council's functions are highly visible and have a direct impact on the appearance of the village and residents' quality of life, but other aspects of the Council's work are much less obvious. All Council and committee meetings are open to the public. Parish residents, the public and press have a standing invitation to attend these meetings, and are welcome to speak during the public open session, usually at the start of each meeting. Round Robin - What does your Parish Council do? Click on the Newsletter link for a summary. The Devil's Kneading Trough in winter (see cattle for scale). Wye and Crundale Downs NNR, is also designated as a Special Area of Conservation for its international importance as a priority habitat. Natural England manages the NNR for its 'important assemblage of rare, scarce and uncommon orchids' and its '86 nationally rare or scarce' invertebrate species, which includes 24 nationally scarce moths and butterflies. Parish councillors have the power to improve the local environment, initiate and lead projects, and get things done about the matters that people really notice - and care about. These local environmental matters include public open spaces, footpaths, litter, village halls, the burial ground and churchyards, allotments, shelters, seats, signs and public events. The Parish Council now owns and manages public open spaces like Churchfield Green and the public WCs, and provides financial support for the Wye Village Hall charity by managing the Taynters Field Recreation Ground and maintaining play equipment under licence. In 2018 the Parish Council took on a loan of £100,000 from the Public Works Loan Board to enable the Wye Village Hall charity to secure match funding and complete the refurbishment of the Large Village Hall and other works. The Parish Council owns and manages Churchfield Green as a public open space for informal recreation. To ensure the future of Churchfield Green, the Parish Council has dedicated it as a Centenary Field in perpetuity, in memory of airmen who flew from Wye Aerodrome during World War I, and died in training nearby. The magnificent black walnut is approaching 70 years old and it is contemporary with the award-winning housing in Abbots Walk, The Forstal and Churchfield Way. Councillors are also elected to represent local views, and apply local knowledge to influence decisions made by Ashford Borough Council, Kent County Council and other bodies. For example, decisions about planning, library closure, policing, the Community Warden service, speed, street lighting and parking restrictions, flood prevention and community resilience. The Parish Council is also able to show leadership, mobilise, equip and insure volunteers, and raise external funding for projects of public benefit. 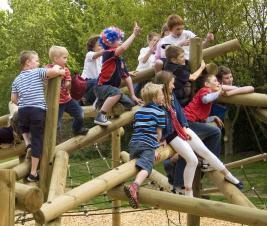 Recent examples include the Jungle and MUGA projects, and the Our Place Wye programme. With the help of volunteers, the Parish Council secured over £130,000 in external funding for these projects. Walkers on the North Downs Way National Trail passing through Wye churchyard on their way to Canterbury. The Parish Council maintains several public open spaces around Wye. These include the churchyard, allotments and burial ground, play areas, including the Recreation Ground and MUGA, and Churchfield Green, (but not The Green, beside the Latin School), the Jungle natural play area, and the public toilets by the Co-op. 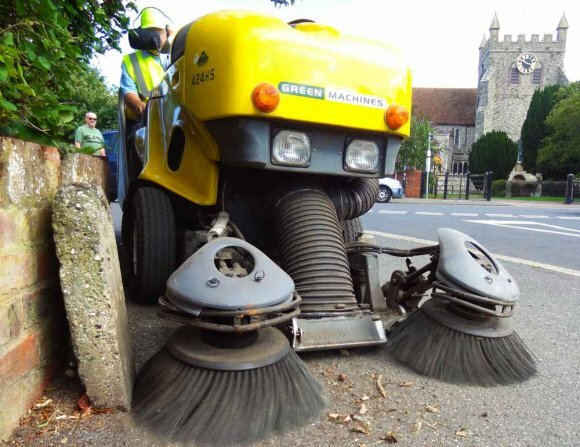 The Council also undertakes street cleaning and litter picking, footpath clearing and other practical maintenance and seasonal tasks like sweeping leaves, in partnership with BIFFA and Ashford Borough Council. The Council supports an increasing range of projects to benefit different groups, attract tourists and encourage balanced economic development. You can find more details in the A to Z of Services section on the home page. For further information about the Parish Council please contact the Clerk, who will be happy to give advice and assistance. The Parish Council is a corporate body, established by Statute in 1894. The Council has up to eleven councillors, who meet to make collective decisions, and a Clerk who acts on its behalf as the Council's officer. Parish councillors serve a four year term, but receive no payment whatsoever for their time. Presently, seven councillors are elected, and two are co-opted. There are two vacant seats open for co-option. are accountable to the parish electorate for their actions. Councillors decide matters collectively and prioritise the nature of the work that the Council will undertake. They also decide how facilities and services will be provided, and set the annual budget and precept. Councillors have collective responsibility to ensure that public money is used wisely, and that the Council's financial management systems are sound. The Council must also maintain adequate reserves throughout the year, and be able to deliver the facilities and services that it has agreed to provide. As soon as possible after they are elected each parish councillor must sign a Declaration of Acceptance, and give a written undertaking to observe the Council's Code of Conduct, before they take their seat. Parish councillors also have a duty to prepare for, attend and participate in Council meetings. To be effective, each individual councillor must understand and able to balance the different needs of groups in the community (such as young and elderly people). Occasionally situations arise when there is a conflict of interests which requires sensitive judgement; for example, dog owners and the parents of young children might disagree about use of, say, Churchfield Green, which is now owned and managed by the Council. Reaching difficult decisions in public meetings, in a fair, open and reasoned way, is a key part of the Council's purpose. represent the interests of the whole electorate of the parish, not just those people who voted for them. Since 1999 the Parish Council's meeting agendas have included a public open session. Usually the agenda provides time for public contributions near the start of each meeting. This item enables members of the public to speak on any matters on the agenda, before councillors discuss them. Members of the public may also raise other issues with the Chairman's permission, but by law the Council may not discuss issues if they do not relate directly to an item on the published agenda. This law ensures that councillors and members of the public have at least three clear working days' notice of all the matters on the agenda. Parish Council meetings are normally held at 19.15pm on the 1st Thursday of each month. Please see the diary section for more information and to confirm the venue. Each meeting starts with a public session. When an matter arises that requires an urgent decision the Clerk may call an extraordinary meeting between the regular meeting dates. These extraordinary meetings are public and are advertised and managed in the same way as regular meetings. Resources and General Purposes Committee meetings are normally held at 19.15 on the 3rd Thursday of each month. All Council and Committee meetings are held in public. Only sensitive matters e.g. personnel, commercial contracts and legal advice are considered in closed session. The Resources and General Purposes Committee is responsible primarily for finance, planning, staffing, training and other resource matters, including the management of the Recreation Ground, children's play areas, churchyard, burial ground and allotments. Each meeting starts with a public session. The Staffing Sub-Committee meets in closed session when necessary to consider personnel matters e.g. pay and conditions, staff appraisals and recruitment. The Planning Working Group is an informal discussion group that meets when needed, to discuss the more complex individual planning applications in detail. This group is not constituted as a committee and therefore it does not make decisions. Instead it acts in a purely advisory role, which enables councillors to gather technical information and input from architects, planners and other building professionals, ecologists and other specialists, and then reflect on their advice before taking decisions. The Finance Working Group meets in January to discuss options before the Parish Council meets to prepare the budget for the following financial year. The Parish Council formed the Flood Working Group in response to two severe surface water flooding incidents in 2018. The Group brings together residents with local knowledge and outside expertise, with the aim of reducing the risk of further incidents. Members are developing a plan that will enable a coordinated response to flood events. The Parish Council is affiliated to the National Flood Forum, a charity which supports communities and individuals at risk of flooding and helps flood action groups to develop innovative local solutions to local problems. 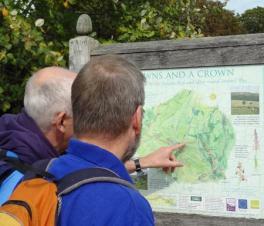 The WYE3 Masterplan Working Group formed in 2016 to collaborate with Ashford Borough Council and Telereal Trillium to develop the WYE3 Masterplan. As Ashford Borough Council did not call a meeting during 2018 this group is dormant. The Wye Neighbourhood Plan Working Group completed its task in 2015 with the handing over of the submission draft to Ashford Borough Council. The Annual Parish Council Meeting (APCM) is normally held during May. This is a statutory meeting to elect a chair and vice-chair for the year, and to approve the membership of committees. The Parish Council also appoints members to serve as its representatives on outside bodies, such as the Kent Association of Local Councils, Lady Joanna Thornhill Trust and Wye Village Design Group. The Parish Council is an active member of the Kent Association of Local Councils, (KALC) which provides councillors and clerks with training, development and advice on technical and legal matters. KALC links Wye to the National Association of Local Councils (NALC). The national body represents the interests of approximately 9,800 town and parish councils across England to influence government policy and legislation. Council and Committee meetings are normally held in either the Small Village Hall, or Wye Methodist Church. If neither of these rooms are available then the Latin School is used. Currently, the Council has two vacant seats, which are both open for co-option. Please contact the Clerk and parish councillors via the 'Contact us' page. The Annual Parish Meeting (APM), (not to be confused with the APCM) is a statutory meeting for the electors of the parish. This meeting is a separate legal entity to the Parish Council, and it is therefore NOT a Parish Council meeting. Nor is it connected to the Parochial Church Council. Even more confusingly, the Parish Council has a duty to call, publicise and chair the annual parish meeting of electors. By tradition in Wye, the APM is the occasion when the chairman of the Parish Council presents Annual Awards to individuals and groups for their contributions to the community and village life. In recent years the APM has become much less formal and is now a mainly social occasion. Each spring the Parish Clerk invites local groups to write a short article to record their activities and achievements during the past year. The Parish Clerk then collates these articles and presents a printed annual report at the APM. This provides an archive and the collation of printed reports avoids the need for a series of verbal presentations. As Wye is a very active community this annual meeting format used to take hours! The informal approach is proving much more popular with residents. By law, the APM must be held each year between 1st March and 1st June, and it may not start before 18.00, but the format and agenda, are matters for local choice. The staff and contract team work together to deliver a growing range of services for Wye residents. You can contact them all here through the Parish Clerk at Unit 2B, Briar Close, Bramble Lane Wye TN25 5HB, or by phone 01233 812459 (answerphone out of hours). Legislation requires every parish council to appoint a proper officer to act on behalf of the council and to discharge all the council's statutory duties and responsibilities. In Wye, and indeed most other parish councils the Parish Clerk is the Proper Officer. In summary, the Clerk is responsible for ensuring that the council conducts its business lawfully. The Clerk also carries out the council's decisions and provides independent, objective and professional advice, information and administrative support to the council. The earliest record of the appointment of a 'Toun Clerk' was in 1439, which pre-dates the founding of Wye College in 1447. This ancient job title related to the clerical origins of the post, at a time when few people other than priests had the ability to read or write. Although the job title has not changed over the centuries, the work of a parish clerk now covers an increasingly diverse range of tasks. These responsibilities include liaison with a wide range of organisations, the management of staff and resources, organising meetings, managing small projects and general problem solver. To support the professional development of parish clerks in their work, the National Training Strategy has developed a specialist qualification for the sector, the Certificate in Local Council Administration (CiLCA). The legal duties and responsibilities of the Responsible Finance Officer (RFO) role include maintaining effective internal financial controls and governance, ensuring compliance with Accounts and Audit Regulations, and the management of risk. In more detail these responsibilities include the day-to-day management of assets and resources, the recording all financial transactions, managing expenditure against the Council's budget, maintaining an audit trail for all transactions, preparing annual accounts for audit, and the annual return, reclaiming VAT, operating the payroll, managing grant applications and reporting to funders. The Parish Council's Burial Clerk is the first point of contact for funeral directors and stonemasons. The Burial Clerk is also responsible for liaising with clergy, maintaining the statutory Burial Records and for ensuring that the Council's Burial Ground Policy is fully implemented. 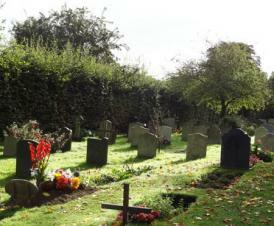 The Burial Clerk liaises with the Benefice Administrator concerning funeral arrangements, and is responsible for the burial ground. Burial records for the Parish Council's burial ground are no longer stored in the Latin School, but they are still available for inspection by appointment. Crime in Wye is low, and most of the reported incidents are minor anti-social acts. Kent Police maps and publishes monthly crime statistics for each ward, including Wye. Could you become a parish councillor in 2019? Have you ever considered becoming a Parish Councillor? Now is always a good time to give the question some thought. The Parish Council's term of office lasts four years. The most recent Local Government Elections were held Thursday 7th May 2015. This was also the election day for all Ashford Borough Council seats, and the general election for Parliament. The next election for all parish and borough seats will be held Thursday 2nd May 2019. For further information please read the leaflet 'It takes all sorts' and contact the Parish Office. Wye Village Hall serves as the polling station for all elections. "...Everyone who's part of a community benefits from the input of other people to that community. It makes sense for everyone therefore to do their bit and contribute; if everyone sat back and let 'other people' do it, we'd soon have no community organisations of any kind - voluntary, cultural, sporting, youth, or local government. And that's not even starting on the challenges one can meet, the things one can learn from such involvement, or the immense satisfaction one gains from being part of something that makes a difference in one's community..."
When Parish Councillors take office they must sign the Code of Conduct, and undertake to disclose any pecuniary interests that either they or their spouses have that could affect their role as a Councillor. The Localism Act 2011 requires councillors to disclose details of any employment, property ownership, contract or tenancies with the council, sponsorship, or shareholding. Disclosable Pecuniary Interests (DPI's) must be disclosed and registered within 28 days of election. If not already disclosed, a member must disclose a DPI at any meeting at which an item affecting a DPI is being considered. Any new DPI's must be disclosed to the Monitoring Officer within 28 days. Councillors must not participate or vote in any discussion on any matter in which they have declared a DPI, unless prior dispensation permitting this has been provided. They will need to leave the meeting for the whole of the discussion on that item. If, without reasonable excuse a councillor fails to comply with these rules, they may be found guilty of a criminal offence, and be liable to a maximum fine of £5,000 and be disqualified from office for up to five years. A councillor may also declare an Other Significant Interest (OSI) if they have an interest that is significant, but not pecuniary. In this case they will be permitted to speak on the item, but will be required to leave the meeting for the vote. The Register of Members' Interests is available online or in hard copy from the Clerk and the Monitoring Officer at Ashford Borough Council.